‘What is character but the determination of incident? What is incident but the illustration of character?’ asked Henry James in his 1884 essay ‘The Art of Fiction.’ More than a century later, we can still ask the same questions when we begin thinking about the nature of fictional character in narratives. Separating plot from the characters who experience events, cause them through their actions, meditate on them, or react in one way or another, wrenches apart the two elements of fictional narrative that are most securely bound to one another. How indeed can we think about characters without discussing their actions? (We can’t!) How can we judge a set of actions in a plot without referring to the agents we come to know through those actions? (We shouldn’t!) This discussion thus begins with an acknowledgement that it artificially separates characters from the plot that couldn’t function without them. 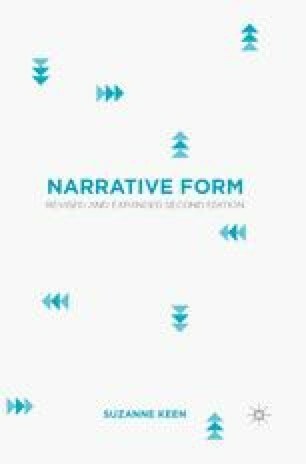 The benefit of temporarily isolating characters from their story-matrix lies in the observations that can be made about how writers build out of descriptive, illustrative, and demonstrative passages their invitations to imagine the people who populate story worlds. Some narratives emphasize character and some emphasize plot. No narrative can do without either element, though writers and critics have disagreed over which element should be given the higher priority. Furthermore, character and plot resemble one another functionally in that the reader’s knowledge of both shifts and changes during the reading experience.